Rosé comes in a wide array of shades. Why is this and does the color of the wine give any indication of its quality? 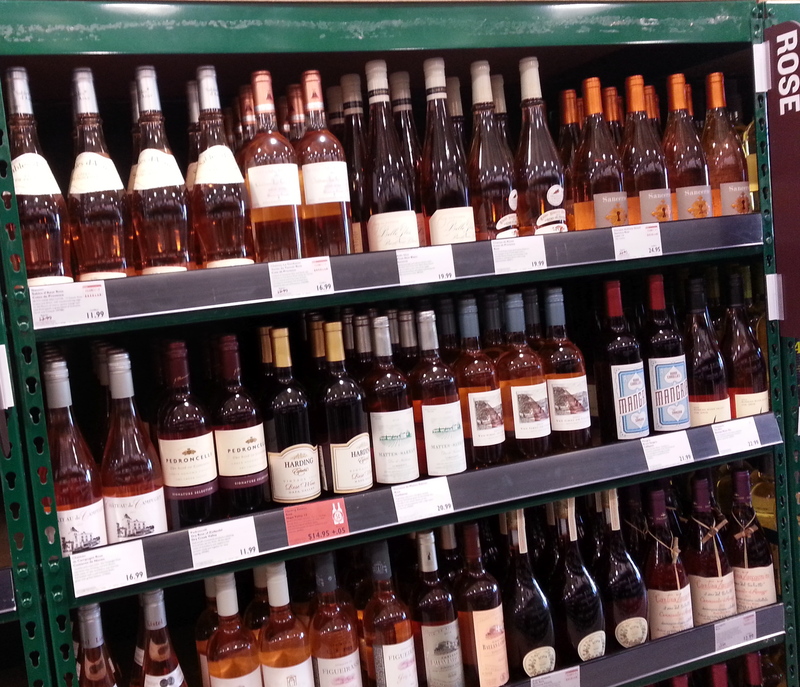 A dizzying array of Rosé! Rosé wines can range in color from delicate shades of ‘onion skin’ or ‘salmon’ through pinky/orange ‘mango’ all the way to rosy pink. In fact here is a chart produced by The Center for Rosé Research, located in Provence, that shows approximately 139 different hues! Rosé comes in a wide variety of shades. Different grape varieties will render a different shade to the wine. For example Grenache Noir will be a salmon shade, while a thicker skinned Syrah will be more pink. Temperature of the fruit is also a factor. Warmer grapes will exude more pigment resulting in a darker shade of wine. For this reason, cooler night harvesting is now practiced by 60-70% of the wineries in Provence in order to produce a paler shade of wine. And that dedication to ‘cool’ continues in the cellar. By ensuring that the wine, through all phases of production, is kept at a lower temperature, the resulting wine will be full of big, beautiful fruit and floral aromas. There are two basic ways to make rosé and the winemaker’s choice will influence the final shade of the wine. The traditional and most frequent method of production of Provence Rose is knows as Direct Press where the fruit is pressed very soon after harvest with minimal skin contact. This method produces a wine of paler shade than other production methods such as ‘Saignee’. This term means ‘to bleed’ and in the process, the winemaker will crush the fruit as for the production of red wine, then ‘bleed off’ or remove some of the juice after a period of hours or days. This juice, which is lighter in color and tannin than a red wine, will be used for rose wine and the must left in tank will become a full-bodied red. Other influence such as the grapes exposure to oxygen, the altitude and climate of the vineyard, and indeed the soil on which the grapes are grown, will all influence the finished wine. As an example, some of the grapes from the Cote de Provence Frejus AOC in eastern Provence are grown on volcanic soil, which will lend a slight copper tinge to the wine. The depth of color of the rosé, however, is not an indication of quality or intensity. A pale, salmon color rose may have intense, explosive fruity aromas and flavors, while a more intensely pigmented wine may have more subdued aromas. Perhaps, not what you might guess from just looking at the bottle! Roses are a pink ‘rainbow’ of color – each wonderful in it’s own, distinctive way. « Do you look through Rosé colored glasses?